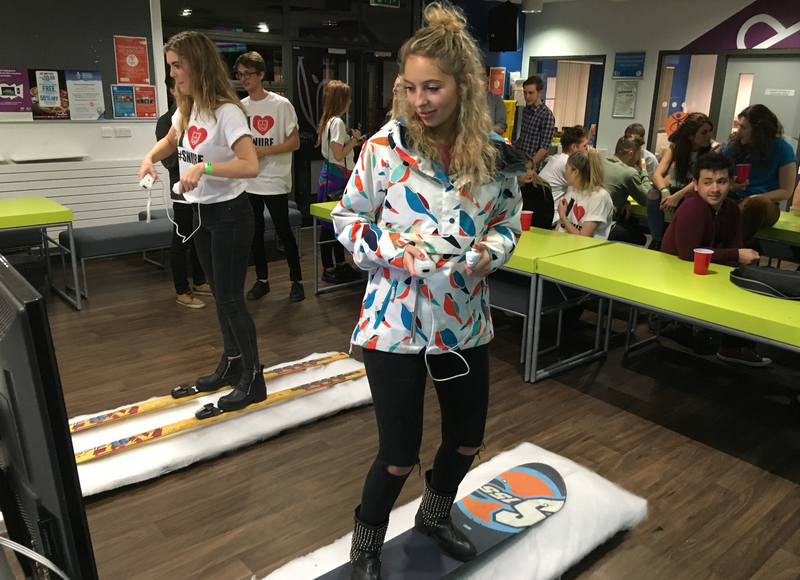 The corporate events that our friendly company organises can help to break the ice and encourage everyone to have a blast. 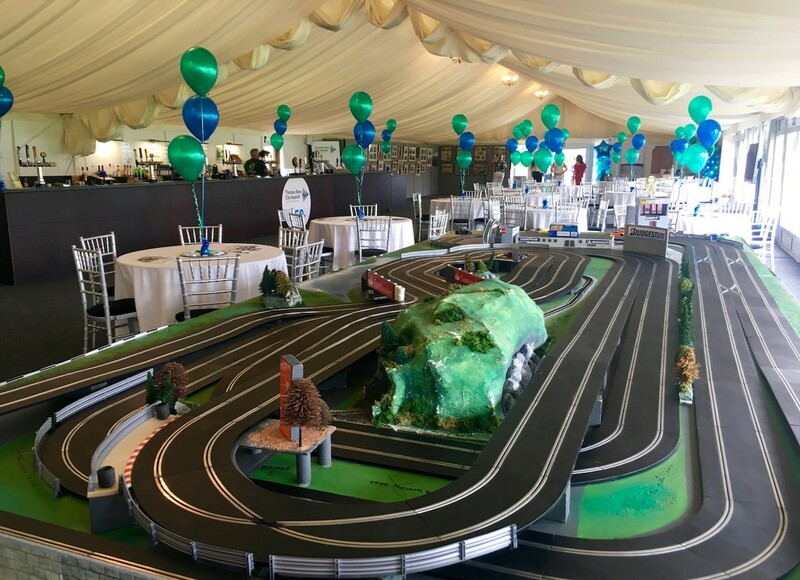 4 Events offers an incredible variety of event planning services, including Christmas parties, awards and presentation nights. We. now have 2 of these availble for hire. 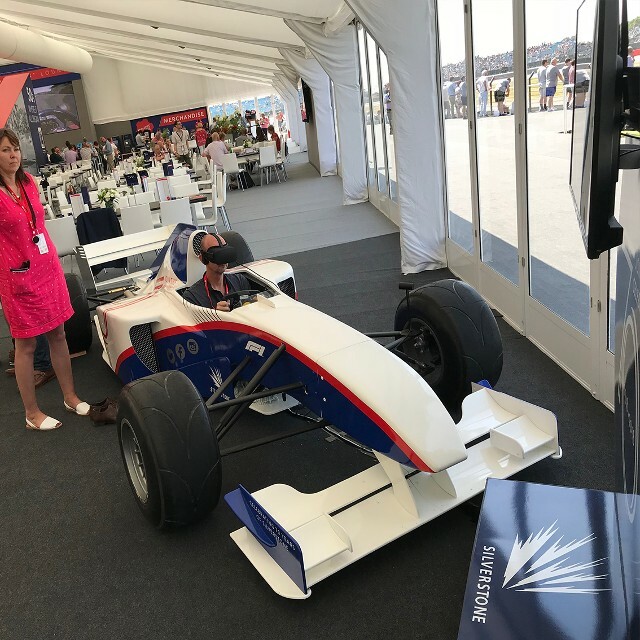 Suitable as a show car or photo opppurtunity with your company branding and also as an amazing driving simulator allowing you to experience the thrill of sitting in a full size car driving round the racing circuit of your choice. 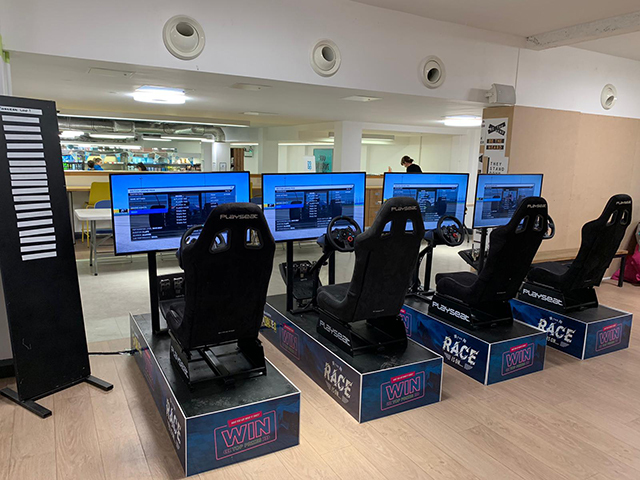 Step up the competition with the addition of a 'Top Gear' style leaderboard to record your lap times. 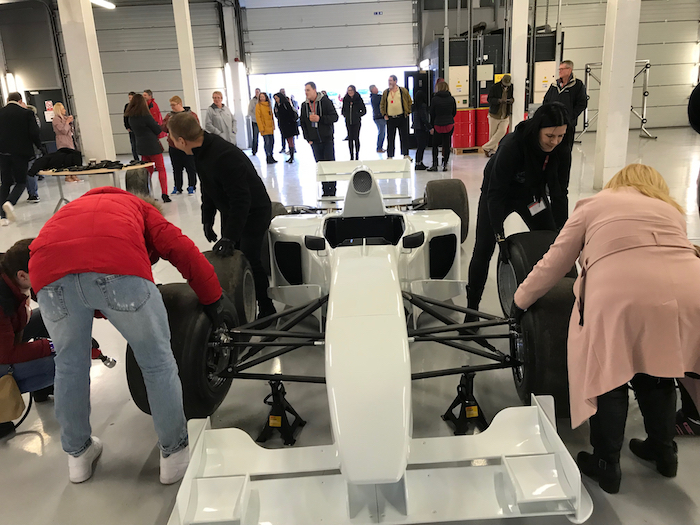 Work together as an efficient team to beat the clock and change the wheels of our full size F1 car. Choose your role, do you see your self as team priniciple, or lollipop operator, all roles are equally important. 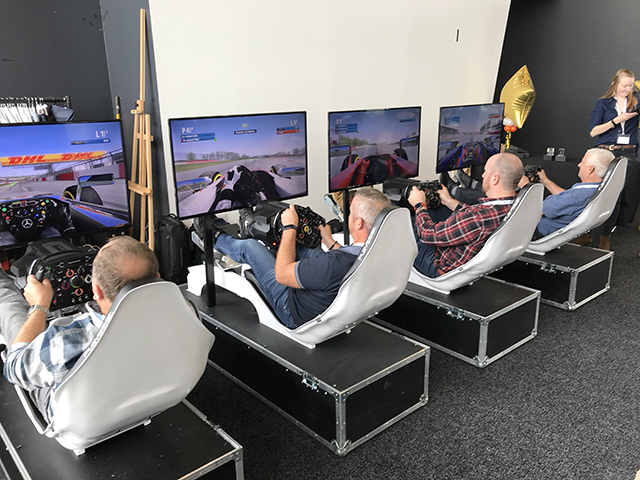 Suitable for conference and exhibition stands, corporate events or book this experience as part of our pitstop challenge teambuilding activity..
We now have 2 Pitstop Challenge cars if you are interested in the ultimate Head-2-Head challenge. Linked racing is the ultimate challenge. 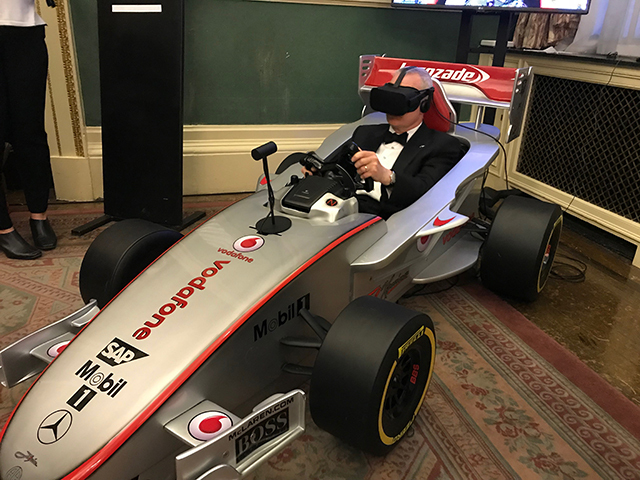 With our superb F1 stylr driving simulators you can take on tracks from all round the world, in a selection of different cars. Now all you need is some friends to race against and hopefully you will only be viewing them in your rear view mirror. With force feedback steering, this is the best fun you can have in a racing scenario without having to spend a fortune on insurance. 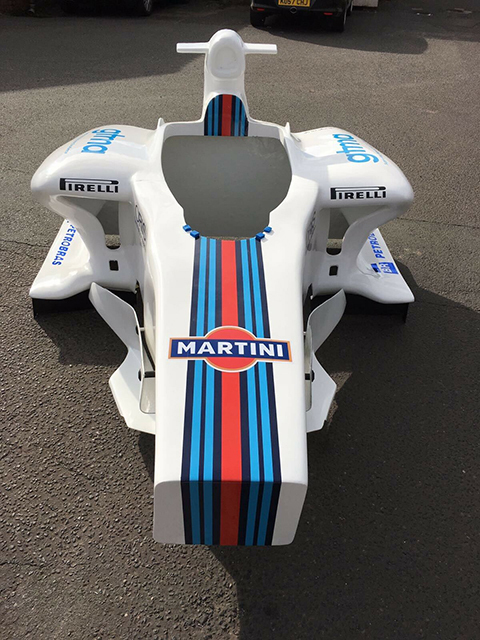 If you don't have enough space for our full size F1 car, this coul be the option for you. Suitable for any location, even upstairs ! Branded in your company colours and logo this looks stunning on an exhibition stand or at a corporate event. 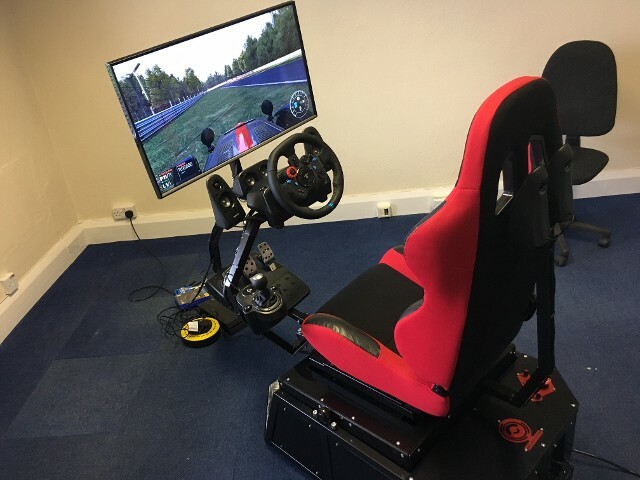 This incredible simulator is new to the market and we are pleased to have one. With full motion and compatible with 99% of the racing games on the market this really is the most fun you can have in a racing simulator. With a built in sound system and 42 inch screen, the experience is unforgetable. We can aso add the option of Virtual Reaity to this simulator taking the experience to the next level. Suitable for all ages, these simulators can be linked together for the ultimate gaming experience. We can aso add the option of Virtual Reaity to these simulators taking it to the next level. The track is computerised and can operate a full 8 race competition, also recording best lap, fastest race, best driver, etc. Easily installed in any location, This really is an exciting addition to our inventory so please do contact us with any additional queries or bookings! Hit the slopes on our full size snowboard and try some half pipe competitions or downhill slopes, grabbing some air on the way, or simply take in a free ride at your own pace. Slalom racing or downhill jumping the choice is yours. Fly through the air like Eddie 'The Eagle' Edwards, going for gold. The longer your jump distance the higher the score, but only if you land safely. We can now add Virtual Reaity to our Ski and Snowboard simulators. How fast are your reactions ? Find out with this exciting hand to eye co ordination equipment. 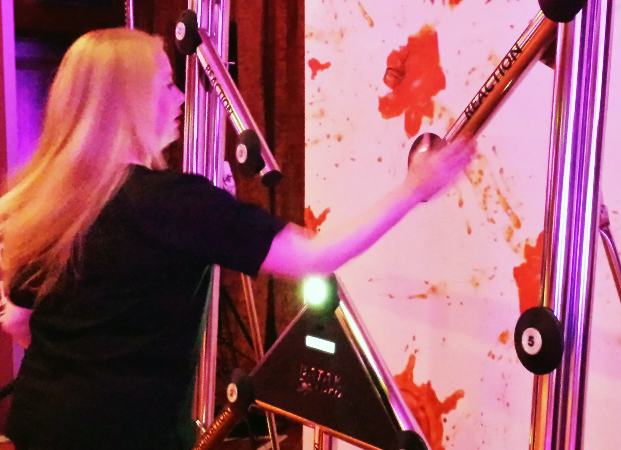 With a number of game variations all based around hitting the illuminated targets as quickly as possible, you'll soon be competing with your guests to be the best. Add a Top-Gear style magnetic scoreboards to keep the competition going. An absolutely fantastic multi-game upright arcade machine with over 80 classic games from the golden age of arcade gaming. This top machine is packed full of retro favourites to provide fun for the everyone. Pac-man, Space Invaders, Donkey Kong, 1942, Frogger, Dig Dug, Centipede and Galaga just to name a few. Exhibitions, company events and parties can all be enhanced with branding - Promotional branding can be added to any of our equipment, making your company stand out from the competition. We can assist with the design process if required. 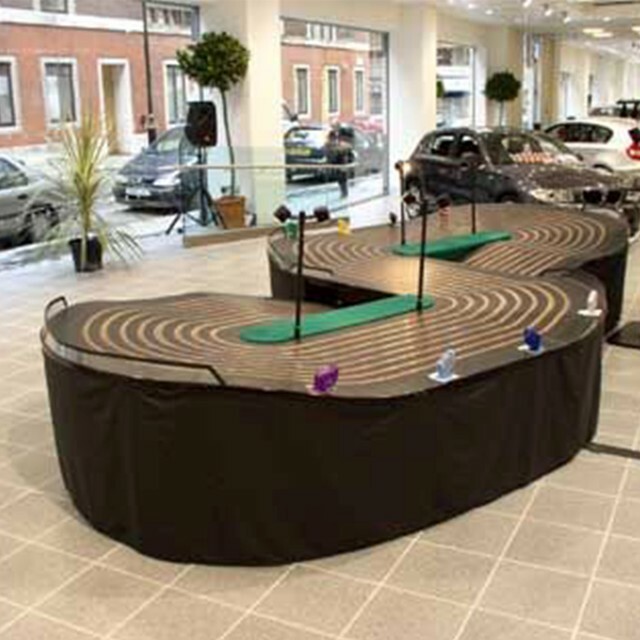 For further details on simulators and branding for you event, please call us today for a price that won't be beaten! Contact us today to ensure your corporate events and parties entirely unforgettable.